The National Institute of Statistics and Censuses (INDEC, in its Spanish acronym) is a public deconcentrated body, of a technical nature, within the scope of the Ministry of Treasury of Argentina, and which runs all the official statistical activities carried out throughout the country. Argentine Law 17622, Executive Orders 3110/70, 1831/93, and Provision 176/99 on Statistical Secrecy establish the creation and operation of INDEC. Its responsibilities are: apply the statistical policy of the National Government; organise and run the National Statistical System (NSS); design the methodology, organise and run the national operations to gather and collect information through censuses and statistics; produce basic indicators and social and economic data. The demographic, social and economic data developed by the institute is a basic tool for the planning of public policies and for research and projections of the academic and private areas. Cooperation of citizens and the different stakeholders is fundamental in statistical production, as they provide the primary data. Results are always published as compiled data, since individual data are confidential and are protected by the Statistical Secrecy Law. 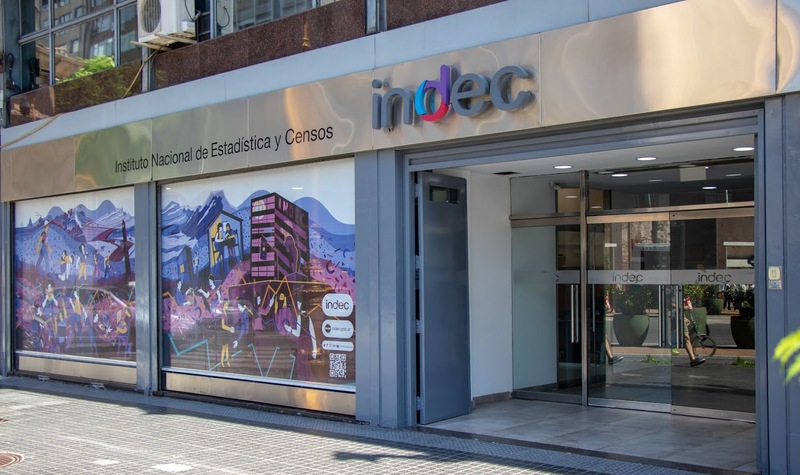 INDEC supports the Open Data policy, which has the objective of making the results of its work available to everyone in an unlimited and simultaneous way, and in different formats to ease access. Good practice recommendations have been developed and standardized by international organizations (United Nations, OECD, ECLAC, Eurostat) to guarantee transparency, reliability and accessibility of public statistics. The INDEC fosters these principles which guide its statistical production and dissemination. View Fundamental Principles of Official Statistics. Society: labor and income, education, culture, health, living conditions, households, use of technology. Economy: prices, GDP, industry, agricultural sector, construction, trade, services, balance of payments, national and international accounts, tourism. Population: censuses, projections, migrations, indigenous peoples, afro-descendants, gender, specific age groups. Territory: geo-referenced information, thematic maps, geographic codes, geo-statistical units. National censuses: gather data on all the elements which form the study universe. These surveys also provide the sampling frame for the surveys that measure the change in certain indicators during inter-census periods. Sample surveys: compile data from representative samples of the study universe. The results are extended to the larger population via statistical inference methods. Record statistics: are produced with information from administrative records, such as the Argentine Integrated Social Security System, the National Customs Administration (import and export goods), Civil Registry (births, deaths, and marriages), Migrations and Ministry of Health, among others. Main Objectives - Run all the official statistics. - Organize and manage the National Statistical System (SEN, in its Spanish acronym). - Guarantees Statistical Confidentiality and no disclosure of the information provided.